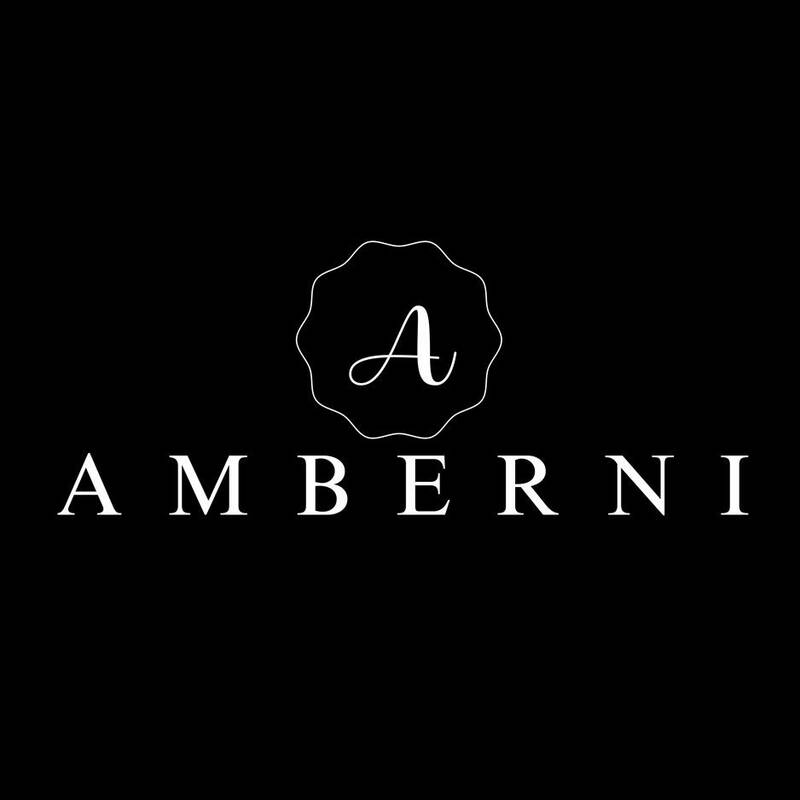 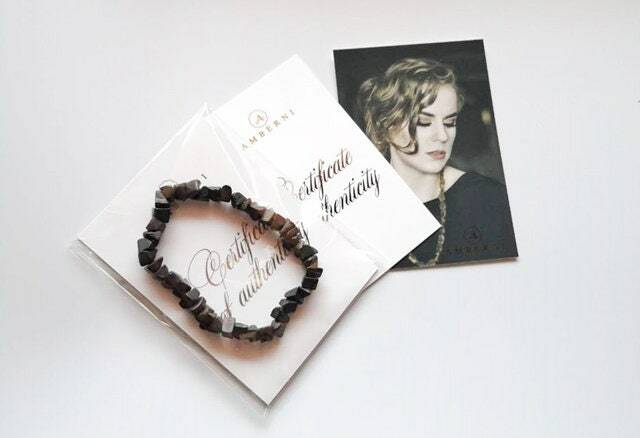 Pieces of Baltic amber are used to make jewelry. 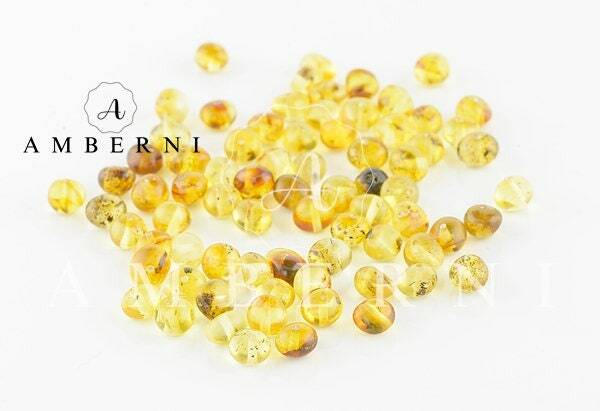 Amber pieces with holes ~ 1mm in size. 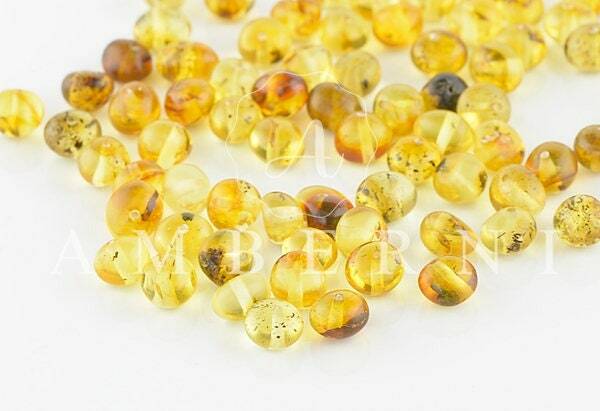 Natural amber beads.